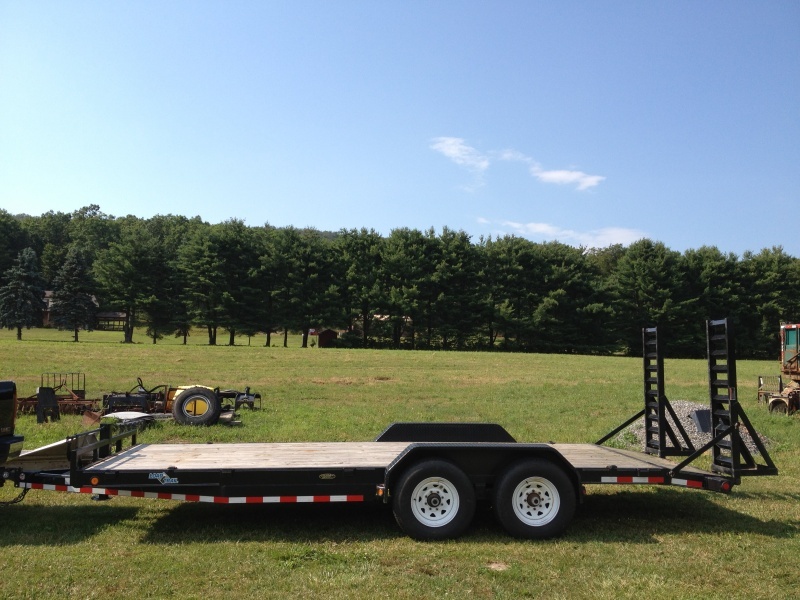 2010 Load Trail 7-Ton equipment trailer. 14,000lb GVWR, 10,900lb load capacity, dual axle, spring assist ramps, 20 ft length, 83in wide, 2-5/16in adj. ball hitch, stake pockets, 4 D-rings, 16in 8-lug tires. Low miles. Excellent condition.